Alessandra Ambrosio is part of the Paris haute couture week. 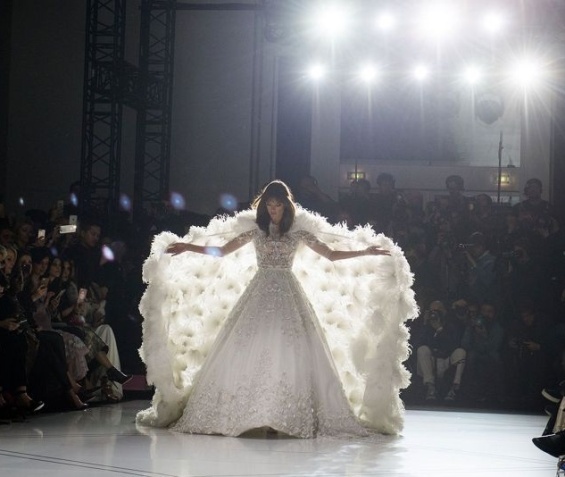 35-year-old model seemed magically while they strut the runway show of Ralph and Russo in stunning wedding dress with a voluminous gown with feathers. After the fashion show, beautiful Brazilian was photographed on the streets in the French capital in white styling by Ralph and Russo.